Happy Wednesday! It's a wonderful day to be alive. I'm so excited to be a guest designer for Amy and Rhonda of Decorate to Celebrate! Decorate to Celebrate is all about parties. Their goal is to encourage and inspire others to find new ways to create handmade decorations and party supplies. All this month, the theme is BIRTHDAY PARTY! They are looking for ANYTHING related to birthday parties. That includes any decoration, party supply, and for this month only a card or layout with a birthday theme. You are welcome to use any tools or supplies that you would like to complete the challenge. And remember, you are not limited to just paper. Because my daughter's birthday is coming up and she's a tweener...I decided to start looking for party STUFF that would fit her age group. 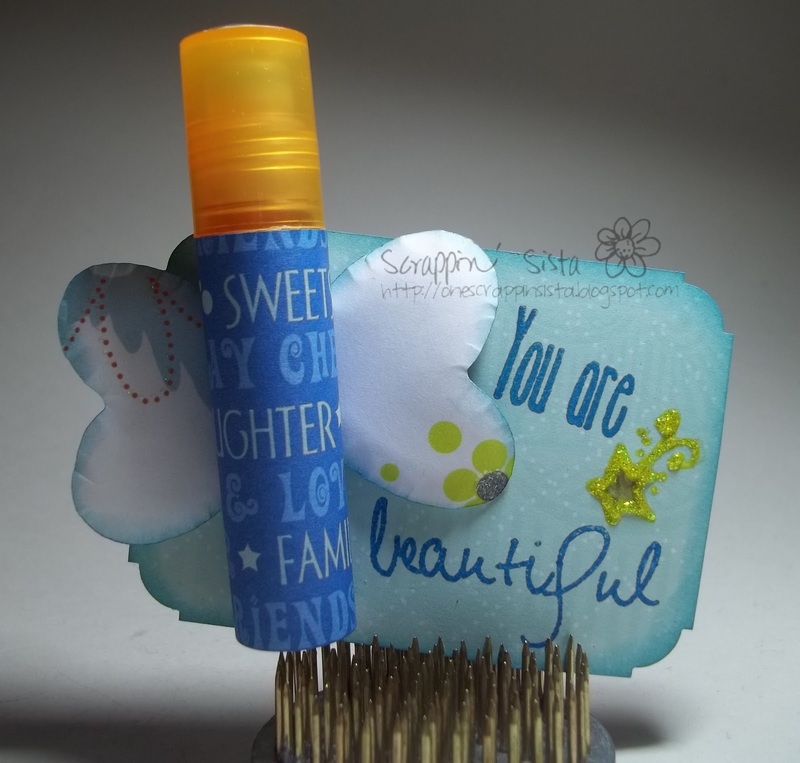 While perusing my craft books, I came across this idea for a lip gloss favor. I will post the name of the book a little later. (Oh boy...I hope I remember to do that. LOL!!!) I think it's just the cutest thing in the world. Let me tell you, it took less than 10 minutes to complete once I got the design fully laid out in my head. I have a few details under the picture. Be sure to hop on over to the blog to check out the other guest designer projects and enter the challenge. There are prizes to be won and you can't win if you don't join in the fun! I love you and there ain't nothing you can do about it! Visiting from Decorate to Celebrate. I like the use of the recycled cereal box for your creation. There's a challenge at Crafty Creations#144 Recycle, Recycle, Recycle that you can enter it into. What a great idea for favors. These are super cute and I am sure the girls will Love them. Also love the saying. With all teenage girls go through these days they need to be reminded of how beautiful they are. Thanks for sharing your amazing talent. Fabulous idea and will have to case your idea:) Congrats on being Guest Designer and thank you for joining us over at Decorate to Celebrate very happy to have you! !